Physical testing can only take us so far. New techniques in digital simulations enable us to experiment with every variable at play to guarantee the best desirable performance. This is the case, for example, when trying to pinpoint the reason for behind “material redistribution”, a phenomenon that leads to defects in printed metal parts. Simple observation and image recognition can only lead to partial understanding (although Nvidia’s GPUs have shown that huge strides have been made in that regard) as part of the reactions happen below the surface or in other unaccountable regions. Computer models of the system, coupled with high-speed monitoring of the same, can give unprecedented holistic vantage points when investigating these activities. Similarly, simulation can take researchers far in terms of understanding long-extinct animals’ behavior. Hydrodynamics, bone-structure, muscle arrangement, all this can be taken into account when determining the most plausible gaze for creatures that lived millions of years ago, in a system which can then be 3D printed and tested tangibly. Similarly, Canadian researchers want to take it a step further by merging AI simulation with manufacturing capabilities, creating a 3D printer which dissects a problem and finds the appropriate solution automatically. In a study published by Scientific Reports , LLNL scientists combined ultrafast imaging of melt-pool dynamics with high-resolution simulations, finding that particles of liquid metal ejected from the laser’s path during the powder-bed fusion additive manufacturing (PBFAM) process—commonly called “spatter“—is caused by the entrainment of metal particles by an ambient gas flow, not from the laser’s recoil pressure, as previously believed. Read the fully article here. 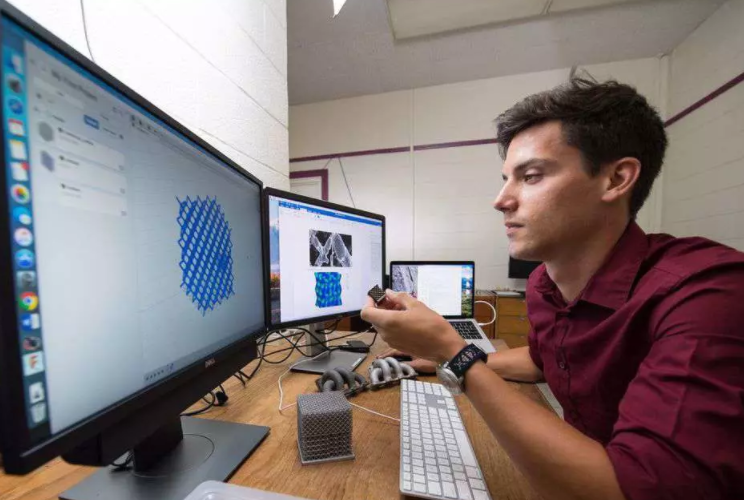 Edward Cyr’s research, funded by a McCain postdoctoral fellowship, aims to develop an AI system that will approach a problem and 3D print its solution after considering all the alternatives. Cyr acknowledged that a human problem solver would only be able to come up with an optimal design after testing thousands upon thousands of ideas. Visit our Twitter feed to get daily news on IIoT/AM and updates to our services! Machine-learning methods are transforming image recognition and problem-solving skills in computers with hardware and simulation algorithms that are capable of providing actionable insights. Businesses are already starting to employ these new tools to gain a more efficient and productive workflow, automating the digital thread beyond simple dematerialization, as well as stepping into smart decision-making. The SurfNet process. Image via Purdue University Mechanical Engineering. New research has developed AI technology that can transform 2D images into 3D content. The method, called SurfNet, has great potential in the field of robotics and autonomous vehicles, as well as creating digital 3D content. The research was led by Purdue University’s Donald W. Feddersen Professor of Mechanical Engineering, Karthik Ramani. 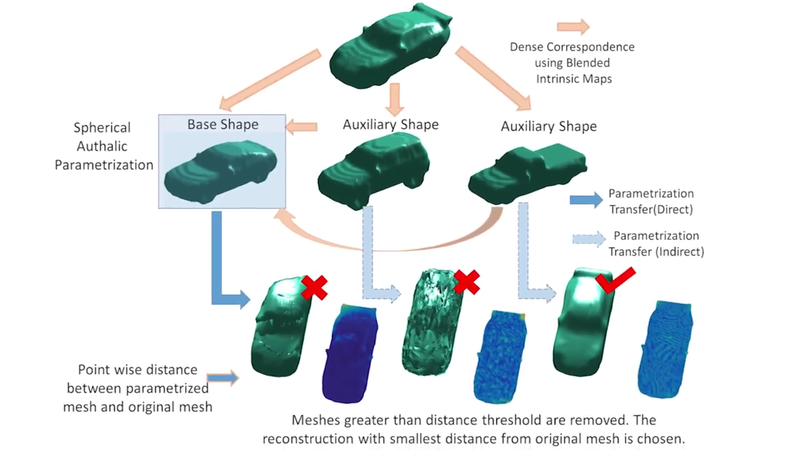 “If you show it hundreds of thousands of shapes of something such as a car, if you then show it a 2D image of a car, it can reconstruct that model in 3D”. Read more about Surfnet here. 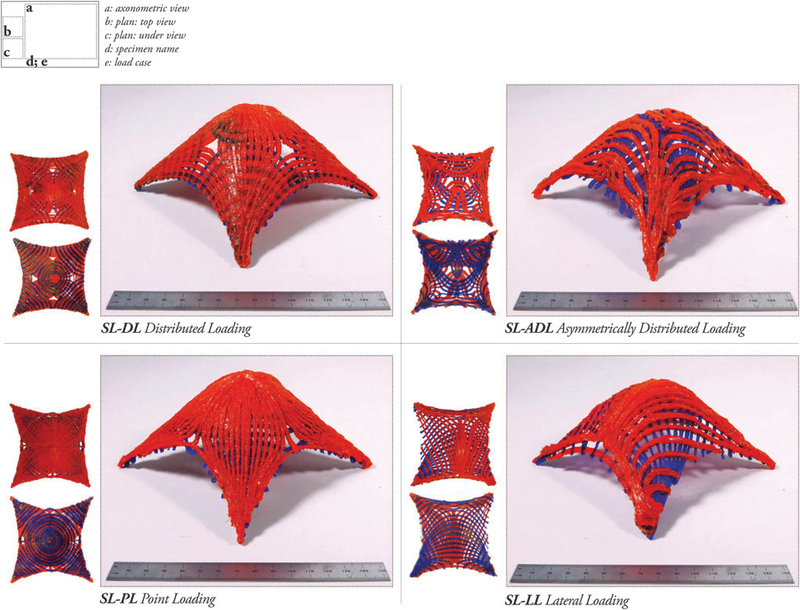 4 self-supporting gridshell test designs, 3D printed in plastic using a robotic arm. Image via 3D Printing and Additive Manufacturing journal. 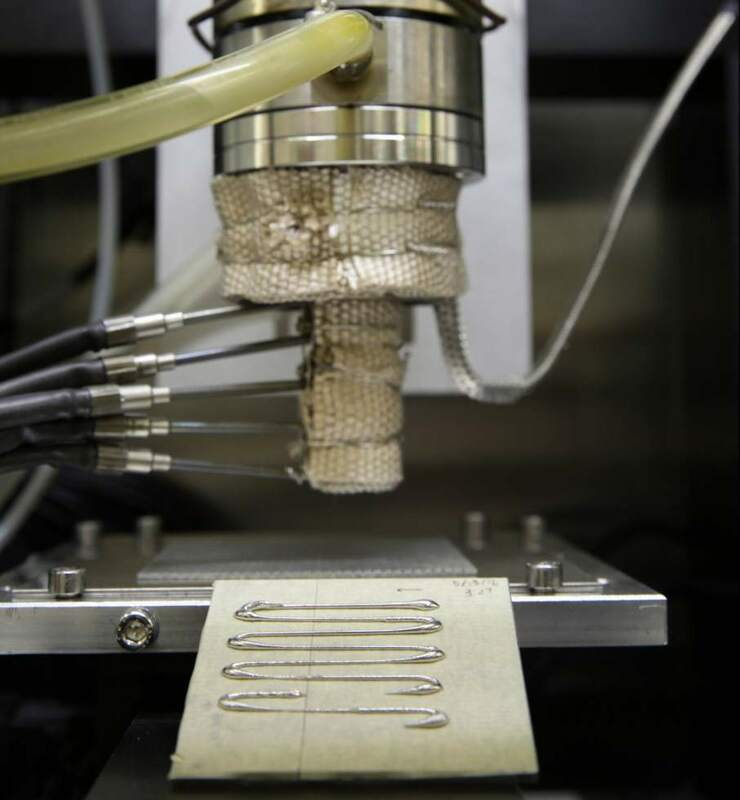 Stress Line Additive Manufacturing (SLAM) is an architectural 3D printing concept out of MIT. It challenges the typical FDM approach to construction, accounting for structural stresses caused by the act of depositing material layer-by-layer. […] In further development, the researchers will apply further architectural theory to the designs and make solid filled objects. They also hope to be able to integrate sensors into the system so the robotic arm intelligently adapts the design as it prints. Read more about it at 3D Printing Industry. Geometric search engines – How useful are they? Digitisation presents challenges as well as opportunities: On the one hand we’re surrounded by more data than ever before, yet on the other, we have more efficient tools to manage the onslaught. […] In the process of searching for similar designs, while we have traditional search methods like text based and keyword based, they do fall short at times. Geometric Search Engines (GSEs) can significantly improve speed and efficiency of the digital thread in additive manufacturing to help solve these challenges. Read the full article at Develop3D. Don’t forget to come back next week for another news’ roundup. In the mean time, our Twitter feed should keep you updated with the latest AM/IIoT news! This week was chock-full of news related to metal AM. 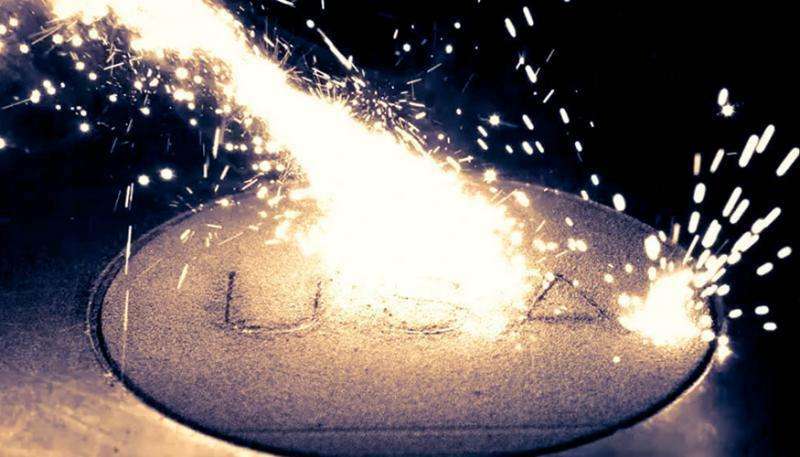 The global scene is intensely researching the potential of metal AM and competitiveness is growing in all its aspects: metal powder production, CAD optimization, manufacturing method and much more. This week we saw exposed not one, but two new methods of metal AM! LLNL and the University of Sheffield both came out with novel techniques to produce produce metal objects additively and they both have their own unique benefits, being that increased speed or greater reliability. All the while we are making strides in understanding the complex physics involved in metal sintering processes: greater knowledge and improved optimization software is also crucial to manufacture metal parts reliably and efficiently. US federal research facility, Lawrence Livermore National Laboratory (LLNL) has announced the results of an ongoing three-year research project into direct metal 3D printing. The technology, referred to as ‘Direct Metal Writing’ (DMW) adds to existing metal additive solutions such as selective laser melting (SLM). […] The new approach uses semi-solid metal feed material, beginning with a heated ingot or small block of metal. Once heated to a semi-solid state, the metal is then pushed through the extruder in a paste-like consistency. The material is shear thinning, which means it forms as a solid when left to rest and acts more like a viscous liquid when in motion or when applied with force. Read more about DMW here. Researchers at the University of Sheffield have developed a unique 3D metal printing process that could dramatically speed up metal printing. […] they call “Diode Area Melting”, or “DAM”. Instead of a single (or small number of) lasers, the DAM approach involves using an array of low power laser diode emitters. These emitters are not directed to the powder by an arrangement of mirrors, but instead are positioned above the powder surface and apply their energy directly. Read more about DAM right here. Commercial acceptance of AM for exacting applications still faces a technical challenge caused by the limited understanding of physical phenomena in the melt pool. Real-time observation of this physical phenomena is difficult since AM melt pools are inherently transient and involve complex physical interactions between energy beam-powder substrate. 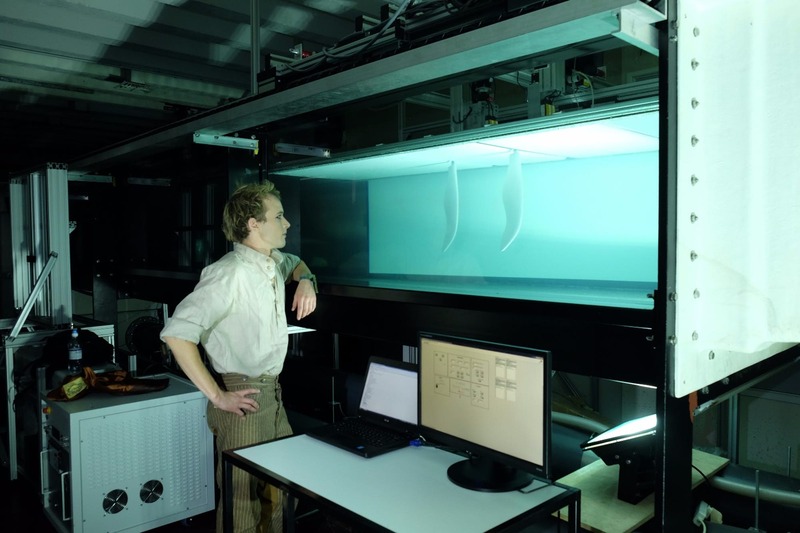 Moreover, the real-time measurements of thermal and fluid variables can typically be made only on the surface of the melt pool. In contrast, a numerical simulation of mass, momentum, and energy transfer in melt pools can provide approximation of the melt pool shape and some useful 3D fields such as the distributions of temperature, flow velocities, solidification temperature gradient and solidification rate. Ultimately, an understanding of the relationships between processing, structure, properties and performance is essential. Check out both parts of the article, here and here. There is more where all these came from so don’t forget to follow us on Twitter for daily doses of AM news! And, as always, we hope to see you back next week! Hi and welcome to another edition of the News-In-Review, brought to you by Authentise! The computational power at our disposal is increasing exponentially, being that of the phone in our pockets or the super-computer of the country next door. In our interconnected world, data is engulfing everything (as highlighted in our Week 3 edition). This week we propose how the two are coming together to address the great problems in our world, from national resource management to safer and more accurate than ever 3D printing. As IIoT is embedded in the national grid, it’s changing from a rigid, failure prone network to an efficient, system optimized in real time approach thanks to data-driven analytics. Processing that data requires new IT innovations, such as the first exascale super-computer now built in Chian. 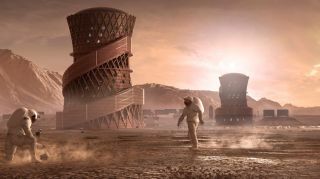 This, previously unattainable computational power allows us to simulate better 3D printing designs, materials and processes and can be used to unlock more AM use cases, such as construction. As ever, there’s a lot to cover here. Let’s jump in! Data management, exploratory analytics, data visualization and predictive algorithms enable the discovery of important behavioral characteristics of highly‐complex urban infrastructure. Water management relies on heavy physical infrastructure and reactive administration. This changes with the development of cyber-physical systems, real-time monitoring, big data analysis and predictive machine learning algorithms and the IoT. These systems enable a transition from reacting to optimized, proactive and cost-efficient management processes. China’s National Supercomputer Centre announced that the prototype for its exascale supercomputer will be completed later this year, ahead of its initial date in 2018. The successful performance and commercialization of the computer is presumed to drastically improve existing 3D printing or additive manufacturing methods. 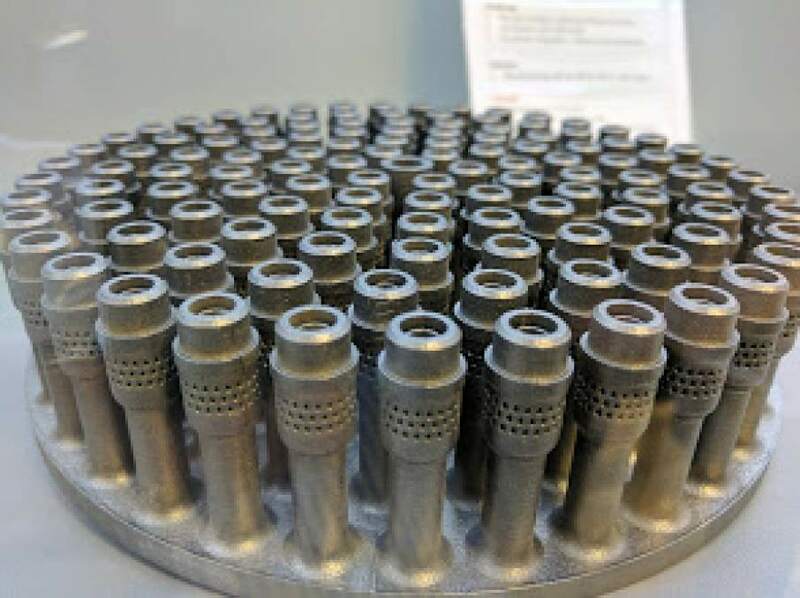 […] Through the usage of an exascale computing-based application, manufacturers will be able to use additive manufacturing technologies to better simulate end products and significantly optimize processes before the last stage of manufacturing. Stewart Williams [admits] that quality control represents a major challenge [to the building industry]. To be viable, any printed building technique will have systems that can constantly monitor and inspect the materials as they are being produced. As he notes wryly: “You wouldn’t want to build a massive beam and get to the end and find you’ve got some holes in it.” Assuming regulators can be convinced, the potential upsides of 3D printing for the construction industry could be huge. Among the factors in the technology’s favor are productivity gains, reduced labor costs and safer working environments, as well as the sort of one-off, complex building designs that are not technically and economically feasible at present. Read the whole article at the Guardian. As always, be sure to follow us on Twitter to get the rest of the juicy news we share and come back next week to another edition of the News-In-Review!